Guernsey director of rugby Jordan Reynolds says he is not concerned by his side's poor league position. 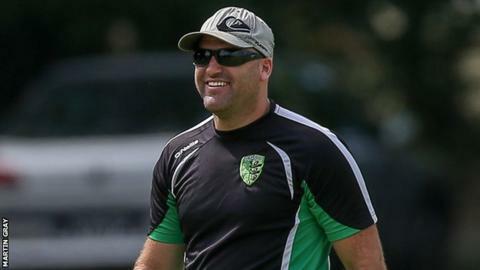 "We're not too concerned about where it's left us in the league at the moment," Reynolds told BBC Guernsey. "We're not going through panic stations or anything like that," added Reynolds, who at Footes Lane last week. "We still know that we're a very good side, if we can get our players out we're going to compete." A number of key players have suffered injuries since the start of the season, with 19 members of his squad unavailable for the match on Saturday. "We've just got to concentrate on trying to get players healthy at the moment," continued Reynolds. "We've got five or six coming back for our next game so things are slowly looking up. "We've got a week off this week and we've only got two games this month and then we've got another break so I think we've been looking forward to this month for a while."